When getting cover for your bike, it helps to understand how insurers set their prices so you can help reduce the cost of your policy. Some of the factors involved you can’t do much about, such as your age. 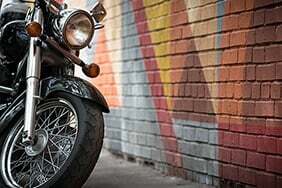 But there are others – say, the type of motorcycle you ride, and how much you use it – that you do have some sway over. Some insurers may put more weight on certain factors over others, so it’s worth shopping around for policies and find one that suits your wallet. As you’d expect, the more expensive or powerful your bike is, the more of a risk it poses. 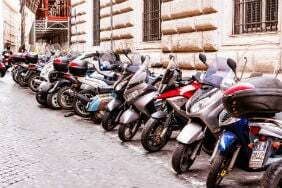 For example, a classic two-wheeler may cost more to repair than a new model, particularly if it’s rare and the cost of spare parts is higher. But if you own a beaten-up old scooter, don’t assume that just because your bike isn’t worth much, it’ll be cheap to cover. 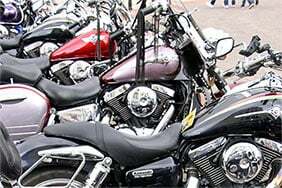 Also, bikes with larger engines are also more likely to be involved in an accident, so a super-charged ride would likely cost more to insure. 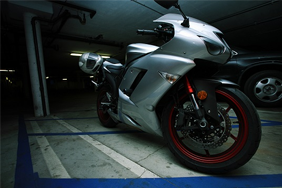 It’s worth noting that, if you decide to modify your motorbike, you need to tell your insurer about it. This may increase your insurance premium. But not telling your insurer could invalidate any claims you make in the future. The harder your motorcycle is to steal, the lower your premiums. If you can keep the bike in a locked garage at night, this can help keep costs down. Anti-theft measures such as ground anchors, immobilisers and bike locks can also help. Make sure any security devices you buy are recognised by the insurer you’re planning to use, otherwise you may not get a discount. Your insurer doesn’t know if you’re a reckless or careful rider. Therefore it has to use statistics to work out how likely you are to make a claim. Unfortunately, these stats are stacked against younger bikers. 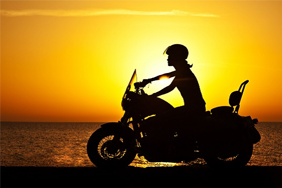 Those between 17 and 25 years of age are considered the riskiest age group - so if you’re a young biker, or have a young biker on your policy, you could face higher premiums. Conversely, adding an older, experienced driver to your policy could reduce your premiums. 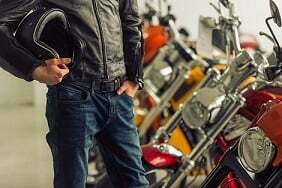 Remember to accurately describe the main biker on the policy as you could risk invalidating your policy if you don’t. Some insurers might look favourably on an advanced rider qualification and reduce your premiums. Taking an advanced riding course will mean you’re seen as less of a risk by insurers, as you will have enhanced your skills on the road. It’ll usually consist of a theory test and an observed ride with expert motorcycle instructors. 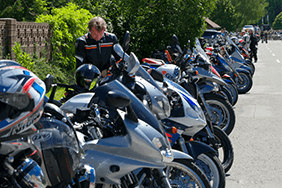 Our guide to advanced rider qualifications will give you more detail on these courses. The higher the voluntary excess you agree to, the less your insurance tends to cost. The drawback here is that, when you make a claim, that amount is deducted from your final payout. If you have zero voluntary excess, your insurer sees that it’ll have to pay you the full amount of the claim, so your premiums tend to be higher. Paying for your insurance in one lump sum can cost you less than monthly installments. Granted, this isn’t very easy to change yourself, but your postcode also has a bearing on the cost of insurance. If you live in a built-up area where the risk of accidents is greater, you’ll pay more. You’re also likely to pay more if you live somewhere that has high recorded levels of bike theft. One of the more significant factors in calculating your cost of cover is your claims history, and whether you have any points on your licence. Your insurer will ask for details of any claims or convictions in the past five years. Even if a claim wasn’t your fault, you still need to tell them about it. If you haven’t made any claims for a year or more, you should have some form of no-claims bonus. Most insurers will accept up to five years’ worth of no-claims to give you a discount on your premium. What types of motorcycle cover can I buy? Covers damage to other people, property and vehicles in accidents that are your fault. All the benefits of TPO, but your bike is also covered if it’s stolen or damaged by fire. 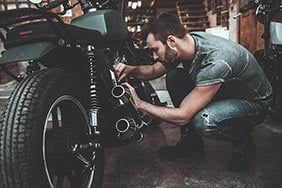 All the benefits of TPFT, but you’re also covered for damage to you and your bike, even if the accident was your fault. Usually, the higher the level of cover you opt for, the higher your premiums are likely to be. However, this sometimes isn’t the case, and a comprehensive policy can work out at a similar price to TPFT. As always, take a look at quotes for the various levels of cover and see where you can get the best deal.